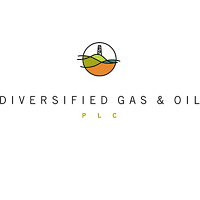 Diversified Gas & Oil PLC (LON:DGOC) Chief Executive Officer Rusty Hutson caught up with DirectorsTalk for an exclusive interview to discuss their acquisition of Core Appalachia Holding Co LLC. Q1: You announced earlier another material acquisition, what are the highlights of this transaction? A1: This transaction really, we’ve identified it to our analysts this morning on our call as really the EQT number 2, if you remember, we did the $575 million transaction back in July of EQT assets. This acquisition is just geographically all around our EQT assets, it fits perfectly from a geographical perspective, from a scale perspective and from a midstream component we’re going to be able to get a lot of synergies and revenue enhancements out of this deal. So, it’s a great fit for our southern Appalachian operation. Q2: You’ve just referenced that these assets, they do fit hand in hand with the $575 million of assets that you acquired earlier. Can you explain how they help to optimise those assets and the overall portfolio? A2: I told the folks this morning that these two assets, the EQT asset and the Core asset by themselves are very good assets but together they’re really good and the reason I say that is you’ve got pipelines and you’ve got midstream assets that are all over the board and crossing each other. We’re going to be able to move day one, which is today, about 10 million a day of natural gas production from the Core Appalachian midstream asset into our EQT midstream asset and then process that gas through our NGL extraction facility and recognise NGL component revenue of that that they don’t have today. So, that’s a big lift to us, about $6 million to $7 million annually from just moving that gas. Operationally, the wells are all in very tight proximity to each other, we’re going to be able to take a hard look at that and determine where to optimise the well tender routes and be able to become more efficient operating those wells. So, it’s a big big synergistic-type transaction for Diversfied Gas & Oil and gives us a lot of scale in that region. Q3: Now, the big difference of the last two assets compared with the previous ones is the midstream element and also the NGL marketing upside. What’s the strategic rationale behind that move? A3: We’ve always liked the midstream assets, the one thing we like to do is control our destiny, we like to move our gas as much as possible and not rely on third partied who can charge pretty high fees to move gas. So, having this midstream asset in the southern Appalachian Basin gives us a lot of flexibility on that standpoint but it also gives us a lot of third-party gas that we’re able to move across the system and charge gathering and transportation for. So, between EQT now and the Core asset, we’re moving around 72/73 million a day of natural gas production that we can charge gathering and transportation on. Q4: So, now I suppose the focus is on a seamless integration? A4: Integrating and getting the day one synergies that we talk about, we have a lot of near-term – within 90 days – of being able to recognise some of this expense reduction and also get the revenue enhancements in place. So, it’s a big win for us and we feel like that these two assets together are going to extract a lot of value in the future. Q5: Are there more opportunities to go after in Appalachian Basin? A5: Yes, there’s a lot of opportunities on the conventional side that we will continue to look at and determine whether or not we want to move on or pursue. There’s also a lot of opportunities on the unconventional side where I believe some of the shale operators will start to look at monetising flat line, mature, unconventional wells that fit our profile perfectly to take advantage of that. Those are very very high margin type operating wells for us and so, we’ll be taking a look at those kinds of projects going forward. Q6: So, in conclusion, shareholders should see this as business as normal for Diversified Gas & Oil? A6: Absolutely, this is what I would consider to be a bolt-on acquisition for the region. So, we’ll continue to take our time, get them integrated, get them put together properly, start to extract the value out of those assets and in the meantime, just continue to for opportunities that fit with our valuation models and the value that we’re looking for in acquisitions.